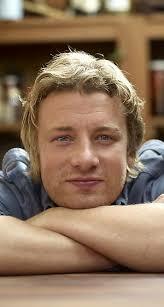 Jamie Oliver has been using his fame to try to transform the way we feed our children, and ourselves. With the obesity epidemic growing globally, he has also been bringing attention to the changes people need to make in their lifestyles and diet. He has initiated several campaigns to try and create change on both the individual and governmental level. Jamie Oliver is one of my own personal favourites and I'm so glad that he's been given this recognition, which is also publicity for the work he's doing. Follow the TED talk he gave, below.